Stanford Research SRS DG535 /01 Four Channel digital delay / pulse generator. Includes GPIB option. 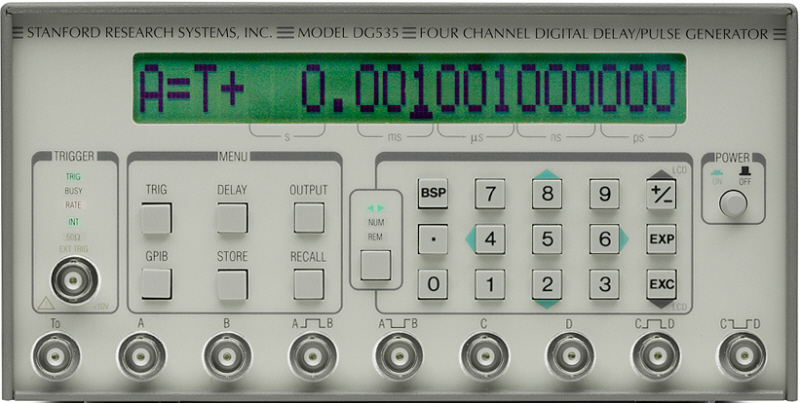 Stanford Research SRS DG535 /01 / 02 /03 Four Channel digital delay / pulse generator. Includes TCXO timebase and GPIB options plus amplified rear outputs (in addition to standard front outputs). Stanford Research SRS DG535 /01 /03 Four Channel digital delay / pulse generator. 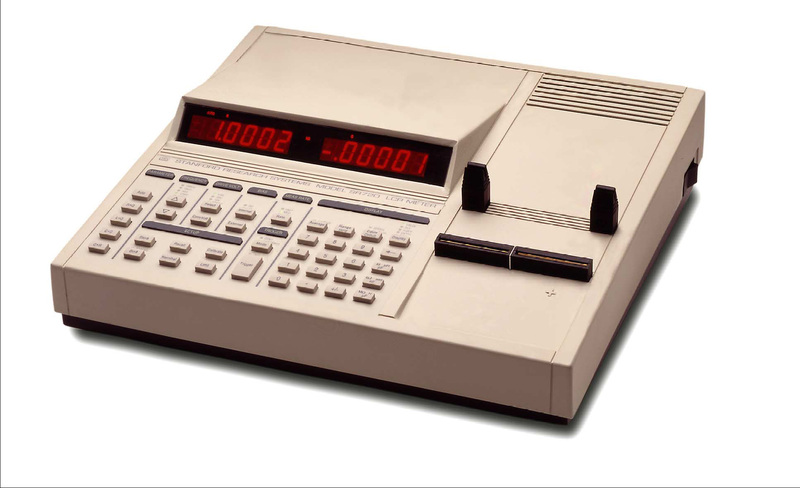 Includes TCXO timebase and GPIB options. Stanford Research SRS DG535 /01 / 02 Four Channel digital delay / pulse generator. Includes GPIB option plus amplified rear outputs (in addition to standard front outputs). 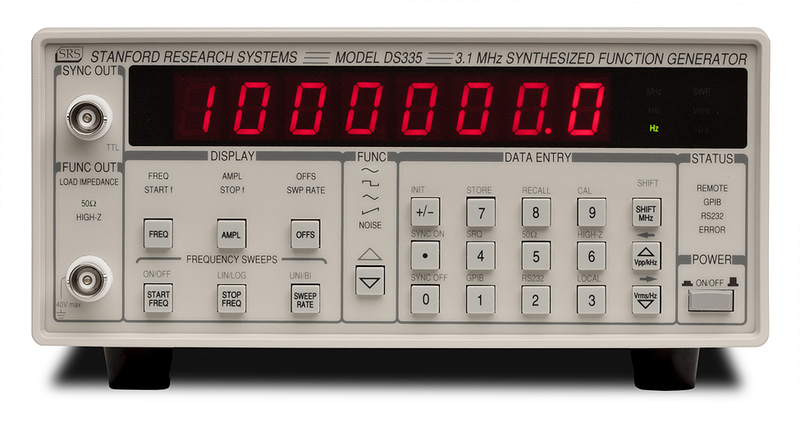 Stanford Research (SRS) DS345 Function Generator with opt 01 GPIB & RS-232 intertacts + 02 10 PPB OCXD timebase. 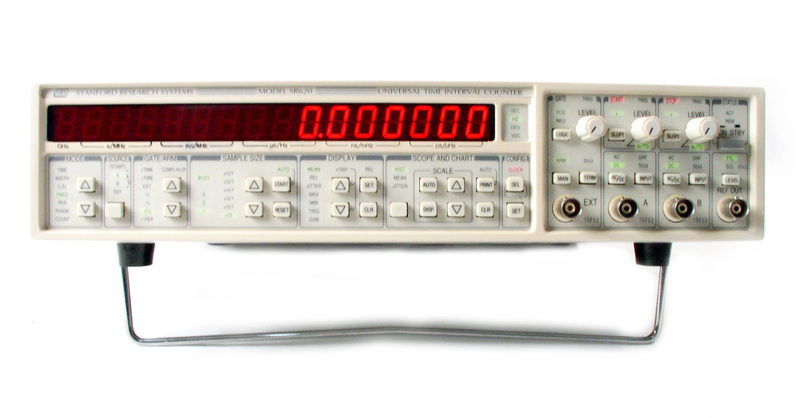 1 uHz to 30 MHz. 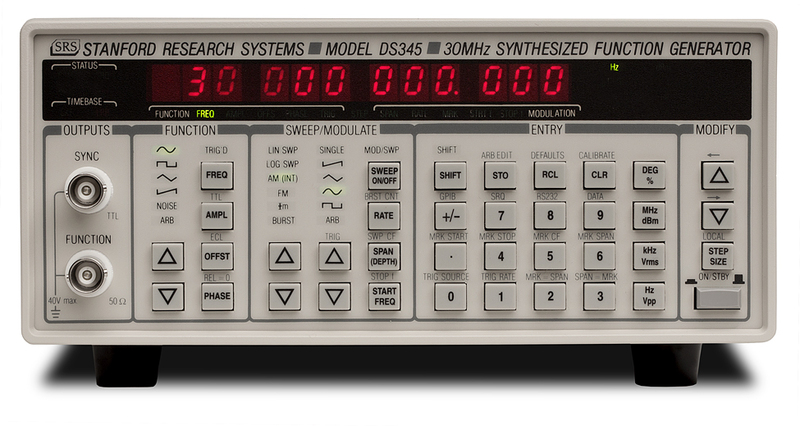 Stanford Research Systems (SRS) DS345 - Function Generator. 1 uHz to 30 MHz. 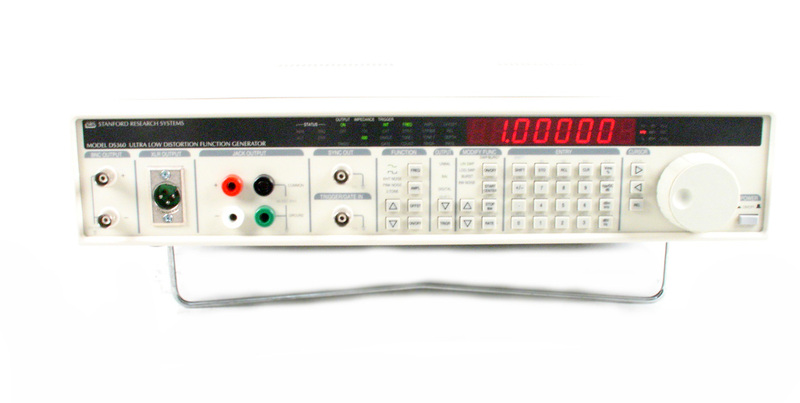 Includes opt 01 GPIB & RS232 interfaces with ARB software. 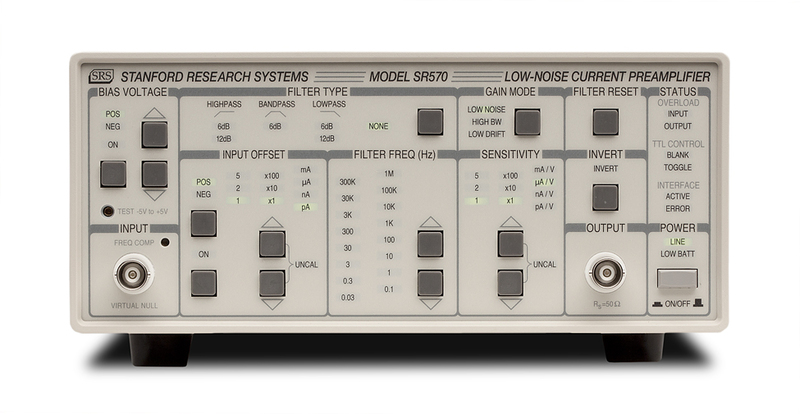 Stanford Research Systems SRS FS700 Loran Receiver with opt 01 low phase noise oscillator. Bargain Basement terms apply - see full description. 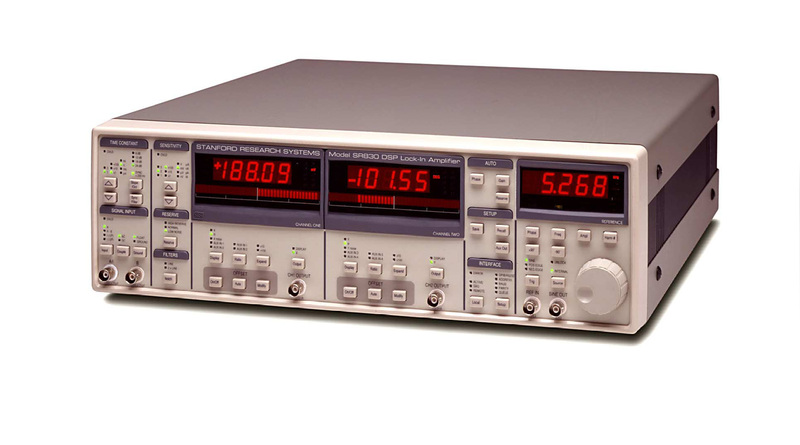 Stanford Research Systems / SRS FS710 10 MHz Distribution Amplifier. Seven outputs up to 30 dB gain. Stanford Research Systems / SRS FS730 10 MHz Distribution Amplifier. Seven 50 Ohm outputs. Stanford Research Systems PS350 High Voltage DC Power Supply with GPIB option. 50V to 5 kV Pos or Neg. 5 mA. 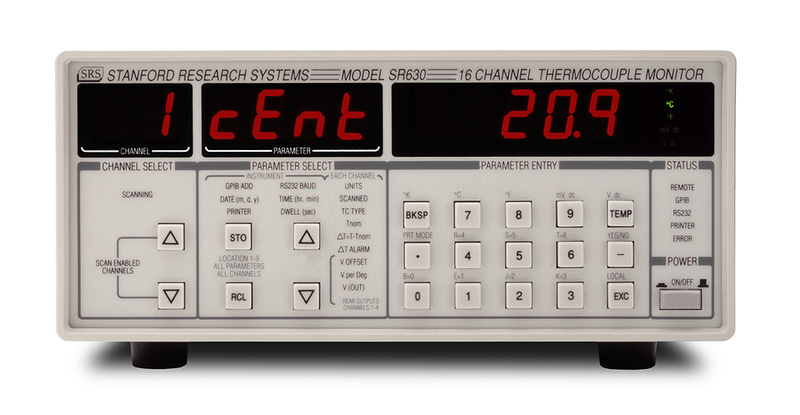 Stanford Research (SRS) SR560 - Low Noise Voltage Preamplifier, DC to 1 MHz Bandwidth with 50 and 600 Ohm Outputs. 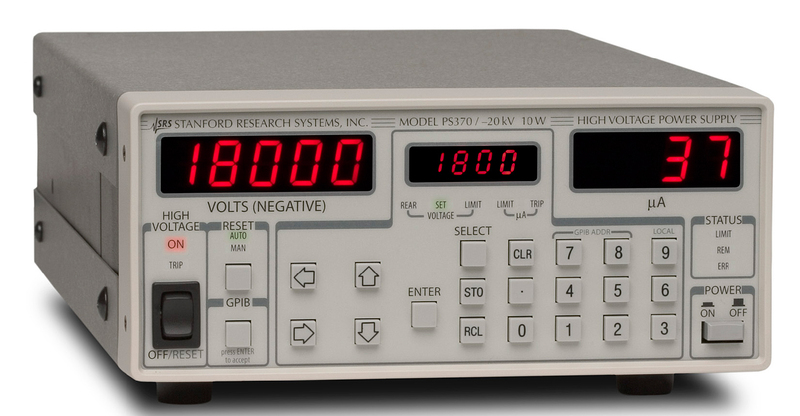 Stanford Research (SRS) SR570 - low-noise current preamplifier capable of current gains as large as 1 pA/V. Stanford Research (SRS) SR 650 High Pass / Low Pass Dual Channel Filter - can be cascaded for bandpass. 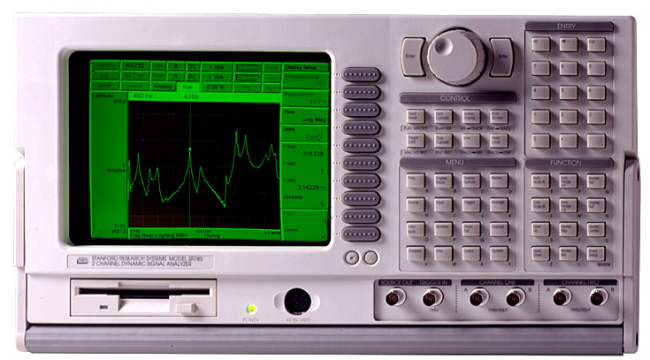 Stanford Research Systems / SRS SR760 100 kHz FFT Spectrum Analyzer with a dynamic range of 90 dB and a real-time bandwidth of 100 kHz. 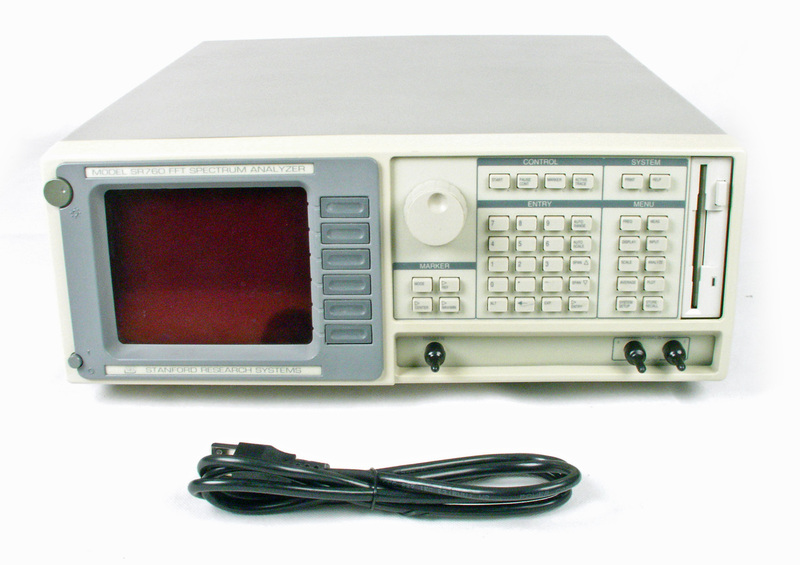 Stanford Research Systems SR785 Dynamic Signal Analyzer. Two channels - 102.4 kHz bandwidth on each channel. 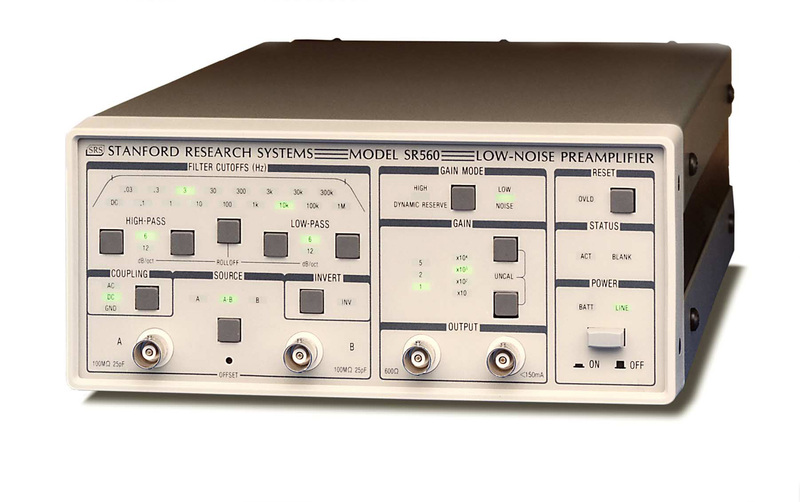 Stanford Research (SRS) SR830 - Dual-phase Lock-in amplifier .001 Hz to 102 KHz.